General Distributing has built its reputation based on outstanding product quality and value. We pride ourselves in serving commercial and industrial facilities with safe and environmentally friendly products to meet the needs of all of our customers. Today, General Distributing is building upon its past success with innovative new products and programs designed to all of our customer demands. We pride ourselves on being experts in the industry and on being committed to superior product quality. Our strategy is to continue our emphasis on product improvement, technical and material safety data, while maintaining the most educated, professional representatives in the industry. 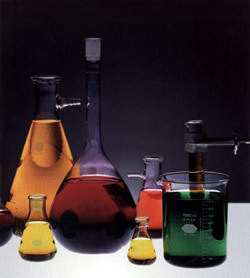 Our mission is to become the leading provider of janitorial and maintenance chemical programs to our select customers. Our purpose is to provide a clean, safe and healthy environment and build our awareness in the marketplace.